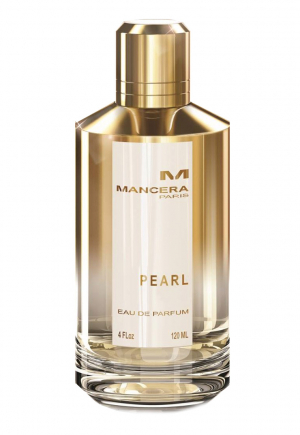 Thread: NEW: Mancera - Pearl! Base notes are: ambergris, oakmoss and white musk. Re: NEW: Mancera - Pearl! Ok, this one sounds good. I like the sound of this. I know longevity will not be a problem either... I am going to look for this one soon - thanks for the info hednic! Looking forward to this also. Although I'm a fan of Mancera I'm going to have to pass on this one. There's too much rose for my personal taste, however it sounds really nice judging by the notes. Fantastic selection of notes, looking forward to some impressions on this one. Except for mancera lemon line....I dont find any other wearable & this too theoretically speaking not up my alley due to rose....haven't found any wearable rose thus far ! I've recently started trying out some of the Mancera line, the latest that I've tried is Aoud Black Candy and (didn't think I would so much) love the rose drydown... Pearl has piqued my interest! I haven't sampled much from this house.....only two....bought them both. Which two if you don't mind my asking? It should be in the US in about 3 months time. I'm taking a break from buying anyways! The notes remind me of Ambre Nuit by Dior. But this sounds a bit sweeter and definitely a bit lighter in the dry down. Now listed on Essenza as a pre-order. What did you think of Roses Vanille......too sweet, just right, etc? For me, just the right amount of sweetness. Have had a large bottle of this Pearl for about three weeks now. Another one sent to me by an associate from the boutique. The highlight of this one for me is the opening of apple, fig and peach. Not as sweet as I thought it would be. Didn't find the florals overpowering and has a nice warm amber dry down. An overall delight. My wife loves it also. Some might find this too sweet though. I love the sound of the rose combined with mandarin in the top notes. Sounds delicious.